Monsignor Michael E. Kelly, son of Edward D. Kelly and Helen M. Barkhorn was born in Newark, NJ in 1939. He was raised in South Orange and graduated from Our Lady of Sorrows School in 1953 and Seton Hall Preparatory School in 1957. Michael Kelly attended Fairfield University in Connecticut and completed his undergraduate degree at Seton Hall University in 1962 and his Master of Arts degree at the same institution in 1969. In May of 1966, after completing his studies in theology at the Immaculate Conception Seminary in Mahwah, Father Kelly was ordained to the priesthood at Sacred Heart Cathedral in Newark by Archbishop Boland. Father Kelly’s first assignment was to Seton Hall Preparatory School in 1966 and he was a teacher, coach, and guidance counselor there until becoming Principal at Union Catholic High School in Scotch Plains in 1975. After one year in that position, Archbishop Gerety assigned Father Kelly as Rector of the College Seminary at Seton Hall University. In 1980 Father Kelly was appointed Headmaster at Seton Hall Preparatory School, where he has remained until present. His Holiness Pope John Paul II named Father Kelly a Prelate of Honor, with the title of Reverend Monsignor, in 1986. Monsignor Kelly has served as a weekend assistant at St. Aloysius Parish in Caldwell since 1966. He is active in community affairs, serving for twenty years as Police Chaplain in South Orange, Chaplain Captain in the New Jersey Army Reserve National Guard from 1968 to 1975, and is presently Chaplain to the Essex County Police and the West Orange Rotary Club. In 1990 Archbishop McCarrick appointed him liaison to the Irish Community in the Archdiocese of Newark. Monsignor Kelly has been a member of the Executive Committee of the New Jersey State Interscholastic Athletic Association since 1980 and was President for the 1991-1992 year. He is Past President of the Board of Control of the Iron Hills Conference. He is a member of the Executive Committee of the Principals’ Council of the Archdiocese of Newark. 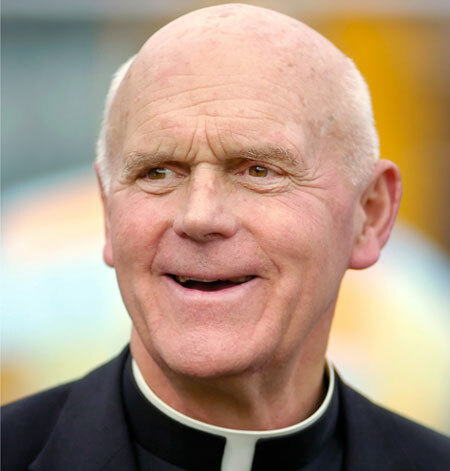 In November, 1991 Archbishop McCarrick appointed Monsignor Kelly to the Education Endowment Board of the Continue The Mission campaign fund. In January of 1993 the Archbishop appointed him chaplain for the Knights of Columbus, Daniel L. McCormick Council, No. 1831, South Orange, NJ. In 1995 he was appointed to the Seton Hall University Advisory Council. He has served on the Board of Directors of the Metro YMCA of the Oranges from 2000 to 2005. He continues to serve for many years as Chaplain of the West Orange St. Patrick’s Parade Committee. In 2005 he was appointed by Governor Richard J. Codey as Chairman of the Governor’s Task Force on Steroid Use and Prevention. Monsignor Kelly has been recognized with many awards and honors for his work to better the community, for his leadership in high school athletics, for his example in the Irish community, for his involvement with various fire and law enforcement agencies, and for his life in the Catholic faith. Silver Life Card, Honorary Member N.J. State P.B.A.